In the early 1920s, Kansas legislature was tasked with attempting to decide on a state flag. Kansas was one of the few states without a flag. 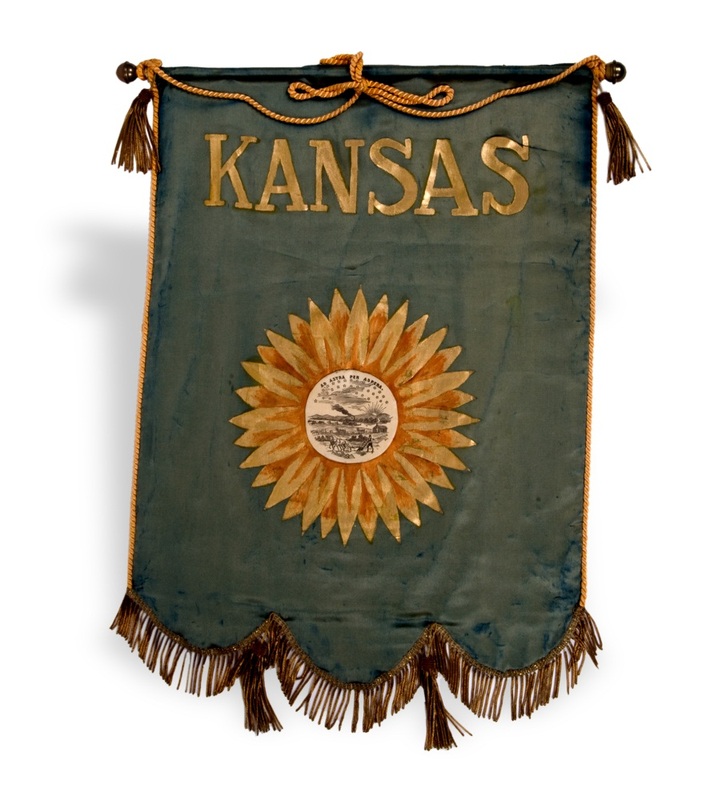 In 1925, backed by the politically powerful Grand Army of the Republic, who argued that our flag should not compete with the U.S. flag so instead of a flag, a banner was chosen and was essentially the Kansas state flag until 1927 when the state legislation enacted a proposal to designate the State Flag of Kansas. Opposition quickly rose against the banner when it was determined the design was not liked, it was hard to hang and march with and the final nail in the coffin for the banner was probably when the banner was not chosen to fly among other state flags in Washington D.C.
Brutus is ready to start his Thanksgiving weekend. Or he just wants to get down to the bar early.